Milo Ward in action last year. Photo: Dave Yeomans. The three G&S Racing Kawasaki riders will take to the track for the opening race of the new season at Silverstone over the Easter Weekend. 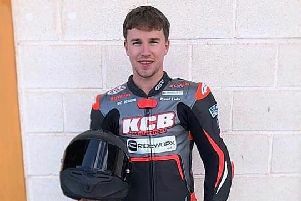 Milo Ward has moved up to the National Superstock 1000 championship while T.J. Toms and Kevin Keyes will campaign the National Superstock 600 championship for the Wyberton-based team. All three riders have taken part in some pre-season testing and are anticipating some good results at Silverstone. 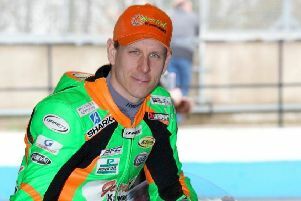 Ward will contest three races, two on Saturday and a third on Sunday while the two Superstock 600 riders will be racing in the usual one race on Sunday morning. Superstock 1000: Friday - free practice one 12.15pm, free practice two 4.55pm; Saturday - qualifying 9.40am, race one and two (24 laps each) 2.45pm; Sunday - warm-up 9.15am, 24- lap race 2.55pm. Superstock 600: Friday - free practice one 11.15am, free practice two 4.25pm; Saturday - qualifying 12.15pm; Sunday - warm-up 9am, 22-lap race 11.15am.